In the mid eighties I re-ignited my deer hunting with a new bow in hand. My Bear compound was state-of-the-art and an overall solid bow. The mid eighties was a time when Michiganders could tag two deer during bow and two during gun seasons, respectively. With an inordinate amount of bait in the woods most hunters were noticing deer numbers of record proportion. A decade later the 800,000 Michigan deer hunters were relatively happy filling the freezer. Most folks that wanted to put a tag on a mature whitetail knew their hunting methods were now a little rusty, but also knew their available “time in the woods” was quite limited. Hence…the phrase, “hey, if I don’t shoot him the neighbor certainly will”. 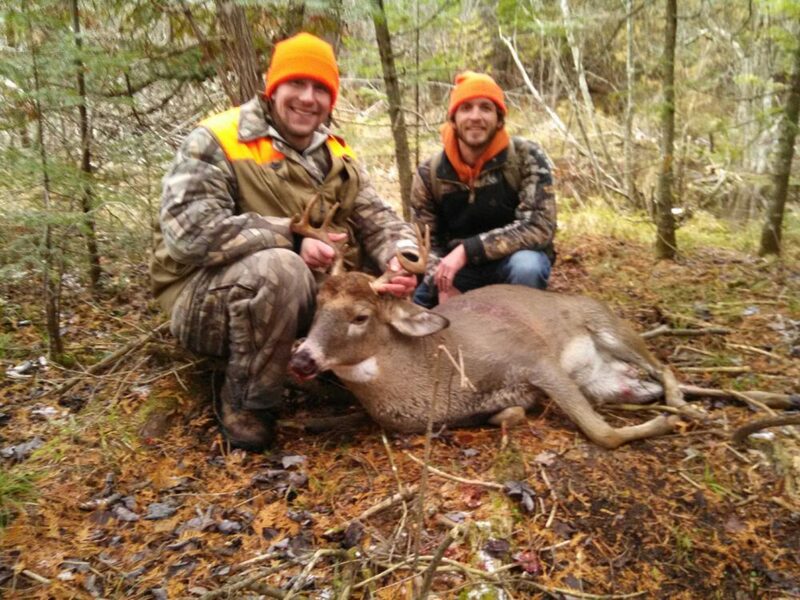 Well into the new millennial many Michigan deer hunters were beginning to see some writing on the wall…our DNR was far from sitting on their hands with our hunting regulations. Whether our political lobby groups were reaping their rewards or something else, Michigan’s deer hunting was certainly in a state of flux. 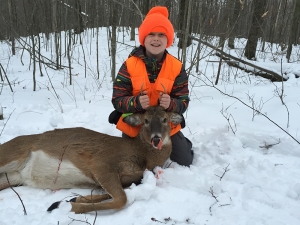 Many hunters began comparing Michigan with other Midwestern states…quantity versus quality. Quality was not Michigan’s boastful bullet point. For whatever the reasons diseases that seem to plague whitetails had anchored itself here in Michigan. Experts offered opinions but no quick fixes were scientifically known. Meanwhile, in the age of food plots and agriculturally enhanced deer populations Michigan sits at a crossroad. With my limited hunting knowledge of the whitetail deer I decided to do what I should have done before all the new ‘hunting regulatory hoopla’ found its way here – I began to study our successful hunters. The more I researched the more I began seeing a connection in self-professed success and what we see in our media outlets…mainly TV! Digging further unearthed the ancient proverb: “honesty is the best policy”. I noticed a lot of record-class whitetails were not making their way to a record book. Was it because of technicalities or choosing not to have them scored? As most of us know there are defined rules about claiming a record-class game animal…whether it be “fair chase” or ? Anyway…the quest continued! I feel I found Phase II of my quest for “why do some hunters seem to tag book-class whitetails on a regular basis”? Not sure if I worded that properly, or not. Well, some hunters seem to put in a ton of work year after year…making their quest a sort of ritual. Others successful hunters seem to know where to travel, what outfitter to book a hunt with or TV show to be a part of. I know my last opinion will strike a nerve with some. Where my quest seemed to take me was the path offering an equal opportunity. As soon as I began laser-focusing my search some common threads were apparent. Have you ever heard your hunting circle chatter about spending no more than three days in one spot during an average season? Or, for every day of hunting there needs to be 10+ days of scouting. I remember listening to a world-class hunter (sort of) lament his way through steps leading up to the opening day. Then he pulled out a two page Excel spreadsheet showing no less than 18 tree stands. Each strategically positioned according to the wind, the thermals, AM v. PM hunts and on and on. I glanced at his spreadsheet and noticed each hunt spot had a mention for ALL possible wind directions. In other words the hunter would first note the wind direction to know which stands can be hunted. Recently, I had an opportunity to talk to a math whiz that retired from a position requiring knowledge of extreme weights and measures. He said he still maintains a habit of applying mathematical equations to a lot of daily activities…including hunting. Therefore, he feels he has a solid grip on whitetail breeding days…to which there are three or maybe four per year. During those key days almost all breeding does will come into estrus and allow a buck to breed her. Each hemispheric region has its own three or four days that are nearly identical from one year to another. Add in that one such world class hunter demands complete scent control so wind won’t be a factor against another such hunter’s claim of mocking up a series of licking branches (whitetail’s main form of communication) no less than a month before you hunt will transform your hunt spot…and you have some secrets for success. So, if we were to do some heavy homework and scout out enough spots (to allow up to three sits per), paired with human scent control and a plan for mocking up some licking branches (with an effective deer scent I might add)…we might find ourselves looking through a different kaleidoscope. The future of hunting IS at a crossroad…change is eminent. 92% of the population does not hunt. Thus, 8% of the population funds an awful lot of what 100% of us enjoy out there! Our crossroads might be hanging in the balance.